Huge wink for that title since I'm clearly a season behind! Has summer officially ended though? If it has you couldn't tell by the weather here in LA. September has been like a blast from a furnace so there's still some mileage for these pieces. 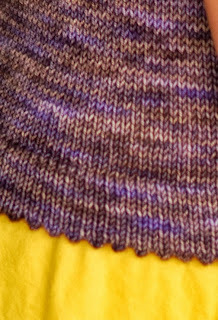 The Knit Collage yarn Stargazer Silk, a 100% silk yarn that is threaded with silver colored brass sequins is a perfect yarn for this reversible A line tank. The weight of the yarn from the combination of the sequins and the silk makes it feel quite luxurious and adds a lot of drama to a simple striped top. 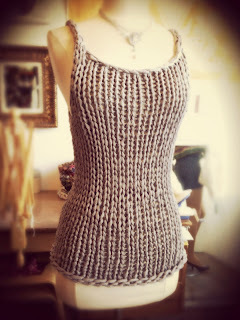 This simple tank I designed for The Little Knittery as a shop sample. Made from the bottom up (a rarity for me) with a minimum of shaping and again i-cord straps, it's another one that would be good for an advanced beginner to try. I grafted the straps to make them seamless though these could be sewn. This top has deep armholes making it a good layering piece for cooler weather. Needle: US #19 24" circular. Another simple top made for The Little Knittery. This sweet little number is a great intro to top down knitting. 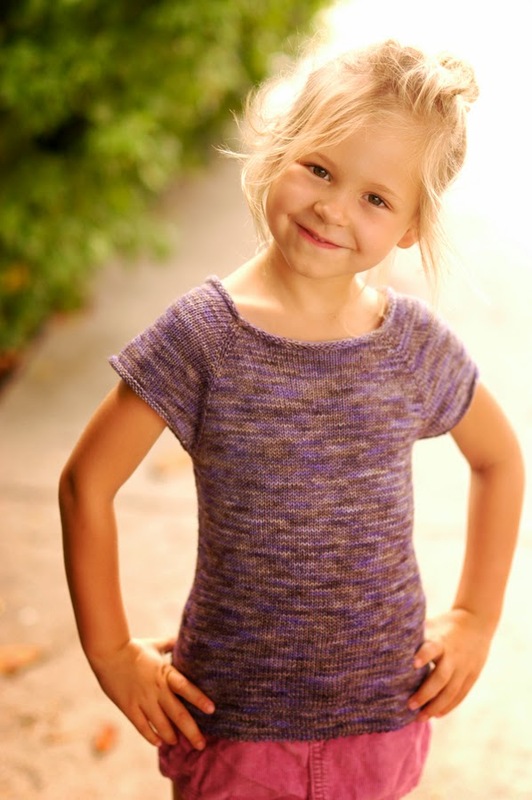 Raglan sleeves, a minimum of side shaping with a cute picot hem. My girls love it! 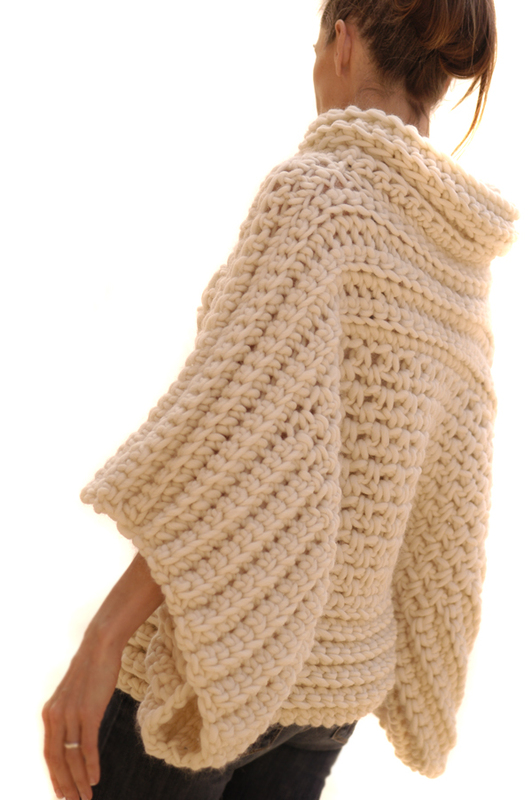 My next pattern coming mid September will be the crochet sweater if I can bear touching it in this heat! Your little models are so dang cute!!! I love the Stargazer stripes and think it would even be cute longer like a baby doll dress. Ohh la la! As always, you inspire me Karen!!! What a great use of the Stargazer silk yarn. 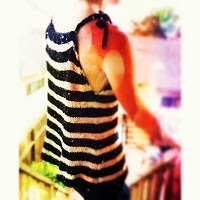 I love the bit of bling that the sequins add and it's the perfect top for hot weather. Another beautiful design Karen! PS..... You have THE cutest models! !